It’s hard to narrow down just ten of the top things to do in such an incredible province. From stunning scenery and wild adventures, to a delectable food scene and amazing drives through mountains and alongside the ocean, there isn’t much that British Columbia doesn’t offer. While there are plenty more activities available depending on where in the province you find yourself, here are the top ten things to do in British Columbia. With about twenty ski resorts to its name, including Whistler Blackcomb, a location of the 2010 Winter Olympics, it should be no surprise that skiing and snowboarding is a top thing to do in British Columbia. From northern B.C. to Vancouver Island, there are fantastic ski resorts waiting with fresh powder to shred. The snow in British Columbia is a treat compared to the East Coast and when it comes down, it breaks records in its amounts. With world-renown villages, to beautiful lodges and chalets, you get the real mountain experience when skiing in B.C. Plus, there are mountains and hills for every level. Whether you’re into touring the outback, or still want that magic carpet ride up the bunny-hill, there’s a ski resort that will have exactly what you need. Home to incredible rainforests, mountains and endless wilderness to explore, there’s no question that hiking is a top activity. Pair it with camping, and you’re set for numerous weekends of fun with Mother Nature. Famous trails like the West Coast Trail on Vancouver Island, Yoho National Park and plenty of other provincial parks exist simply for the joy of putting your body to the test and getting you out in nature. Plus, various islands and the same mountain ranges that make skiing such a great activity are all up for grabs when it comes to hiking. There are hikes of any level and for any length of time, from thirty-minute casual scenic strolls, to multi-day summits with ice caves and sharp peaks. There’s no doubt that for those with hiking boots strapped permanently to their feet, British Columbia is the ultimate destination. No matter what kind of fisherman you are, there’s likely a spot in British Columbia that will suit your needs. The open ocean waits on B.C.’s coast for catching tuna and the five types of Pacific salmon, plus plenty of other tasty treasures like halibut and lingcod. The rivers are filled with various trout and, if you choose wisely, salmon runs. Many of the lakes have been filled with trout as well, so casting, trolling, fly fishing and nearly any other fishing tactic is available for use in British Columbia’s waterways. In fact, some areas of B.C., like Ucluelet on the west coast of Vancouver Island, are even giving Alaska a run for its money. 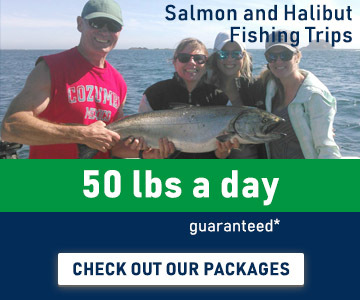 For a great charter in Ucluelet, take a peek at www.salmoneye.net. Finding its beginning roots in British Columbia’s interior, mountain biking has rapidly expanded into being a core part of the active lifestyle in the province. Six regions with about thirty destinations make up the riding core of B.C., each offering numerous levels and grades of tracks. In fact, the province is home to what could be considered some of the most diverse mountain biking terrain in the world. Cross-country, downhill and freeride exist across lift-accessed bike parks, trail networks and more. There are also numerous bike festivals and races that take place across B.C. in the summer, which pack towns and mountain villages with talented bikers from around the world. Learn more about one of the top mountain biking destinations, Cumberland on Vancouver Island here. Though it may come as a surprise, British Columbia is a hotspot when it comes to wineries and vineyards. In fact, there are almost one thousand vineyards, and just under four hundred licensed wineries! The best-known region is the Okanagan Valley, which is a top destination for booking a wine tour and exploring the tasty grapes grown in the area. The Okanagan has almost two-hundred wineries. Vancouver Island is another top destination, with the Cowichan Valley producing a number of award-winning wines. While the Island’s number is closer to forty, each winery delivers delightful wines and tastings. The Fraser Valley, Similkameen Valley and Gulf Islands are the other three well-known regions, all offering guests a taste of British Columbia like they’ve never had before. Thanks to the lower-mainland and islands’ temperate climates, the grape-growing scene is both possible and thriving. Perhaps the best way to truly get a taste of British Columbia is through its outstanding wineries. Bubbling up all across the province are incredible hot springs that need to be explored while visiting. Some require an off-the-beaten-path adventure to get to, while others are extremely popular and sit within reach of various resorts. On top of those that are common knowledge, B.C. is riddled with hidden gems that are often patiently waiting for a knowledgeable local or lucky traveler to stumble upon and enjoy. Carved into rocks next to the ocean, tucked deep into the mountains, or wherever else in the province they may be, one of B.C.’s luxurious hot springs is an unforgettable experience, making them one of the top ten things to do in the province. British Columbia is home to a multitude of magnificent creatures. Of all the wild animals in the province, none are as sought after to see as the whales and bears. All along the coast, whale watching is one of the top things to do. Whether you’re searching for the Orcas that frequent the Johnstone Strait, or the passing of Gray whales during their massive migration along the west coast, a whale watching expedition does not disappoint. Plenty of these giants of the ocean frequent the waters of the coast of British Columbia, and seeing them first-hand is a humbling experience. Then there are the bears. Vancouver Island itself is considered to have one of the densest populations of black bears in the world. These bears are especially common to see during the fall at the mouths of rivers fishing for the returning salmon. Grizzly bears are another sought after sighting, and there are plenty of charters that will take you in a boat up to the Great Bear Rainforest and Knight Inlet to watch these beautiful beasts in their natural territory. A bonus to both of these experiences is that B.C. has so much wildlife, you’ll likely spot many more animals than just those you seek to see. British Columbia prides itself on eating fresh and local. For that, we can thank the incredible Farmer’s Markets that sweep the province, from Northern B.C., all the way to the southern tip of Vancouver Island. With a healthy supply of fresh seafood thanks to the coastal sections of the area, citizens of B.C. are set in terms of farm-to-table culture and eating well. Cities like Vancouver and Victoria have multiple markets on in a single weekend, while Duncan is known to have the best Farmer’s Market in the entire province. Whether you’re a local, or just a visitor looking to get to the true heartbeat of B.C., paying a visit to a local Farmer’s Market will let you dive in to the heart of the province. You’ll also be blown away by the number of talented artists and creators, as many of the markets also let vendors sell homemade goods. You can spend entire afternoons exploring the markets of B.C. Considering the Province of British Columbia possesses about 10% of Canada’s coastline, or about 26,000km of it, you can bet that there are numerous beaches within its territory. Between the various Gulf and Discovery Islands, the edge of the mainland and the coasts of Vancouver Island, there are literally hundreds of beaches to B.C.’s name. The best beaches arguably belong to Tofino, where kilometers of sand make up world-renown beaches like Long Beach. Tofino is also the Surf Capital of Canada, helping to bolster the popularity of these sandy slices of heaven for the province. Located within the city, Vancouver is also a hotspot to visit, as you can bus straight to the beach and back downtown. Exploring the various islands accessible from both the mainland and Vancouver Island will treat you to hidden coves of sea and sand, and remote locations that produce great surfing. Exploring the beaches of B.C. is definitely a top thing to do, as the options are endless and the locations absolutely serene. Hopping on board the burgeoning craft beer train, microbreweries are a top market in the province, proving to be endlessly popular. This is great news for those that enjoy sipping something other than Lucky Lager, the PBR of British Columbia. In B.C., it seems as though every town has at least one brewery, if not more, with new ones popping up every month. Vancouver and surrounding areas alone have nearly one hundred breweries to themselves! However, the title of Beer Capital of British Columbia was given to its capital city, Victoria, on Vancouver Island. They have numerous breweries, including one of B.C.’s first, plus an incredible number of pubs and bars dedicated to bringing visitors endless options of craft beers from across the province. Like wineries, sipping your way through the tasting rooms of various breweries is a unique way to truly taste the essence of British Columbia. Learn more about the Beer Capital of Canada here. As stated, picking ten activities to be the top ten things to do in such an incredible province is a near impossibility. Here are three more activities that could have made the list as easily as any of the others that did. British Columbia’s history is deeply rooted in First Nations’ culture, and you can feel the tug of their influence nearly everywhere you go in the province. From cultural art, totem poles, signs in the local group’s language and historical information in various areas and museums, there is always the opportunity to dig deeper into where British Columbia began. Aside from the cultural influences of the First Nations groups in the province, there is plenty of Pacific Northwest culture and history to enjoy as well. From incredible art like the murals in Chemainus, and castles, museums and historical buildings, to the towering trees of the province’s ancient-growth rainforests and the unique surfer vibe of western Vancouver Island, the beauty of British Columbia is far from skin-deep. The coast of British Columbia has some of the best cold-water diving in the world. The waters there are teeming with life, some of which can be seen nowhere else in the world. Divers jump in to explore natural and manmade reefs, wreckages and incredible kelp forests that hold numerous creatures of the coast. In a single dive, you can see some of the largest and smallest creatures of the Pacific Ocean. With so many islands, lakes and rivers within reach, kayaking is easily one of the top things to do in the province. Whether you are located next to the ocean and want to explore the town’s harbour by boat, or feel like paddling out to the lake to try out fishing from a kayak, there are so many different ways to enjoy this activity in B.C. 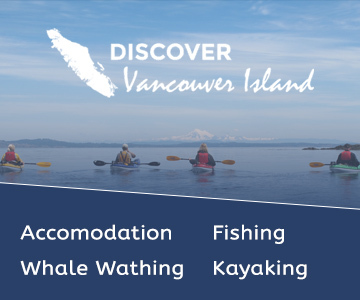 Not only is kayaking a great form of exercise, but booking a kayak tour lets you learn more about the coast, enjoy a new skill and explore wherever you are in the province from a whole new vantage point. For areas of B.C. where kayaking isn’t a go-to, there’s often river rafting, or canoeing as their paddling activity of choice.